We are very pleased to announce that the PlastX group was completed this July and immediately got involved in the plastic topic. 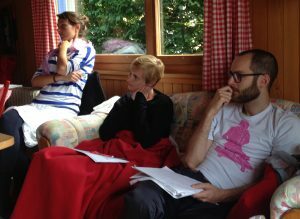 In a four day retreat to the Lake of Constance we exchanged on “doing science” in the distinct disciplines, sociology, geography, chemistry and biology, and created an interdisciplinary problem definition to our common research topic. For a successful interdisciplinary collaboration the communicative and cognitive integration is as much of importance as the social one: In joint activities as cooking, board games and cycling tours we also got to know us personally and grew together as a team. 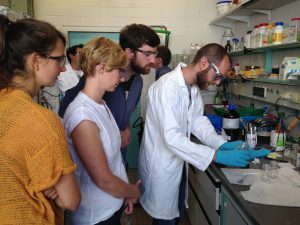 We visited the Max-Planck-Institute for Polymer Research in Mainz, where Tobias Haider, the chemist of the PlastX groups is working on more sustainable alternatives to conventional plastics. Here we learnt more about polymers and observed first-hand how chemists experiment by producing nylon and construction foam ourselves. 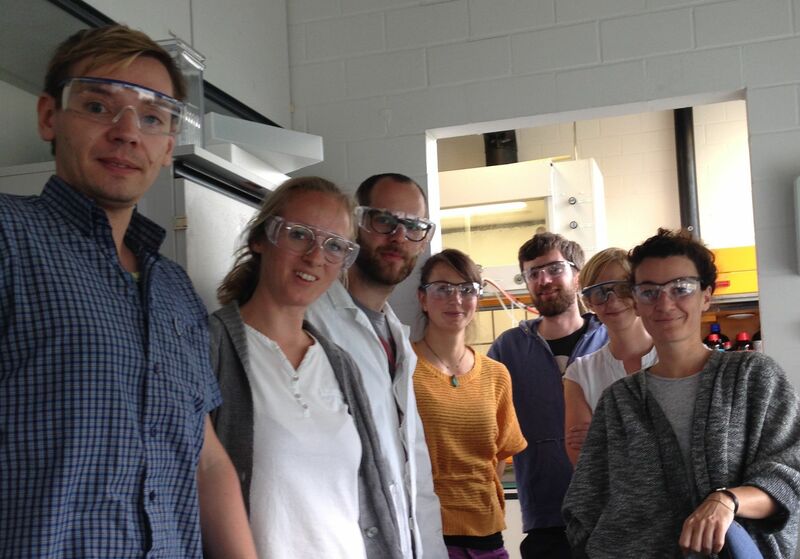 Working in a laboratory was for the social scientists a new experience. 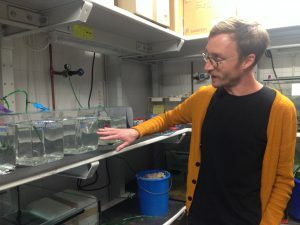 We visited the aquatic ecotoxicology group at the Goethe University Frankfurt, where Lisa Zimmerman, the ecotoxicologist, is doing her laboratory work. As an example for an aquatic exposure experiment, we were feeding water flea with green fluorescing plastic particles and followed the microplastic passing through the fleas gut under the microscope.